Power of Nature Organic Lavender Baby Powder is a talc-free powder made from pure natural ingredients to help prevent nappy rash. Organic lavender helps sooth and heal redness and inflammation, whilst kaolin clay and organic corn starch help in drawing moisture and impurities away from the skin. The organic lavender in this powder also helps in promoting relaxation and calmness in your precious loved one. 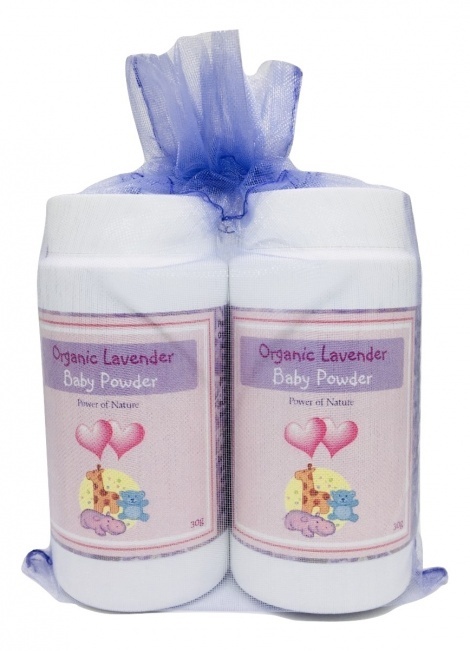 Power of Nature Organic Lavender Baby Powder comes in a handy little recyclable container with a pop-lok lid which is easy to use with one hand, leaving your other hand free to hold your baby. After bathing apply to the skin of baby's nappy area. Ensure the skin is dry before applying.